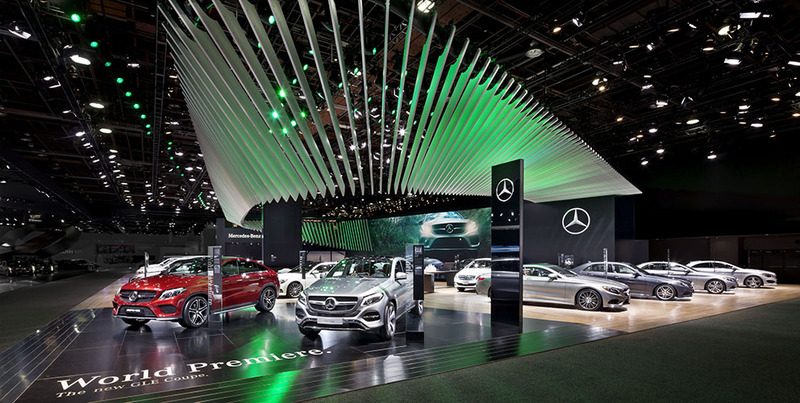 This was the second outing for the sweeping Silver Flow spatial sculpture, having made its debut as a stand concept at the Paris Motor Show in 2014. Now it was time to take the adaptable design to a new level, bolstering the brand architecture across the entire area of the stand, appealing to visitors from afar. On the stand itself, the display area was transformed into an experiential brand zone. 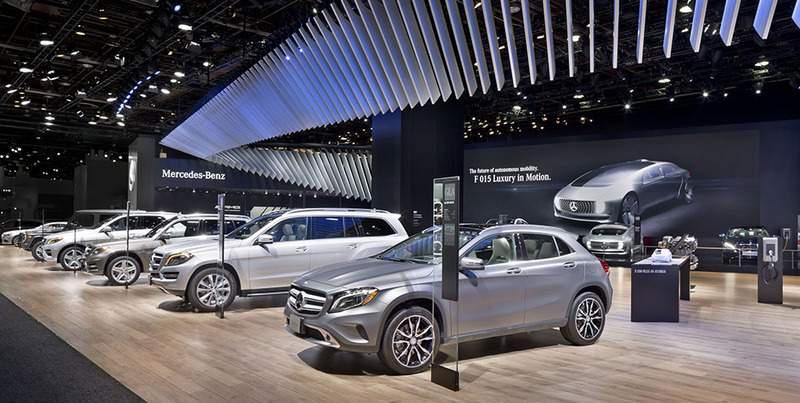 The rear of the stand featured a single-sweep homogenous background, providing a backdrop not only for the Silver Flow itself but also for vehicle presentations, subtly integrating the themed area of AMG. 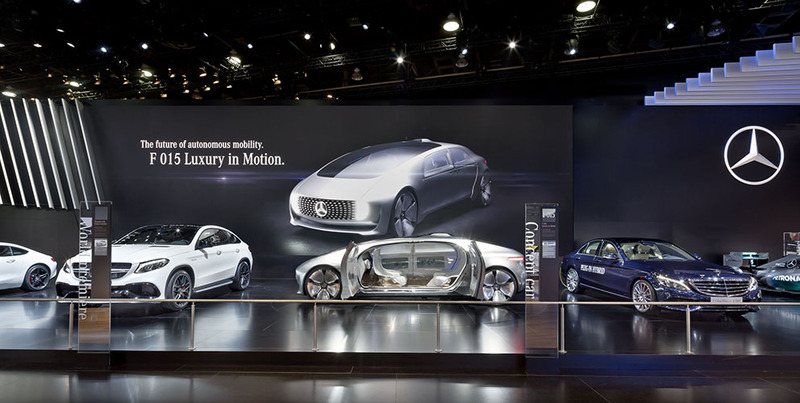 Four world premieres were placed firmly centre-stage at the show, including the F 015 Luxury in Motion research car, which had just been driven all the way from Las Vegas to Detroit. 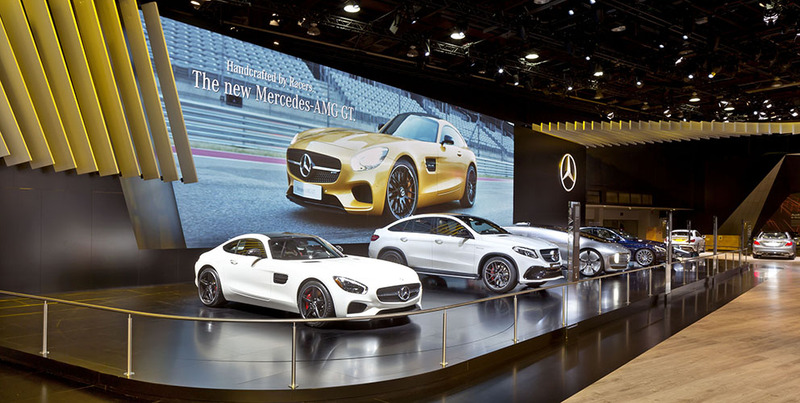 The highlighted vehicles were positioned proudly on a large screen and featured prominently in media sequences played on the huge 18 x 6 metre LED screen. 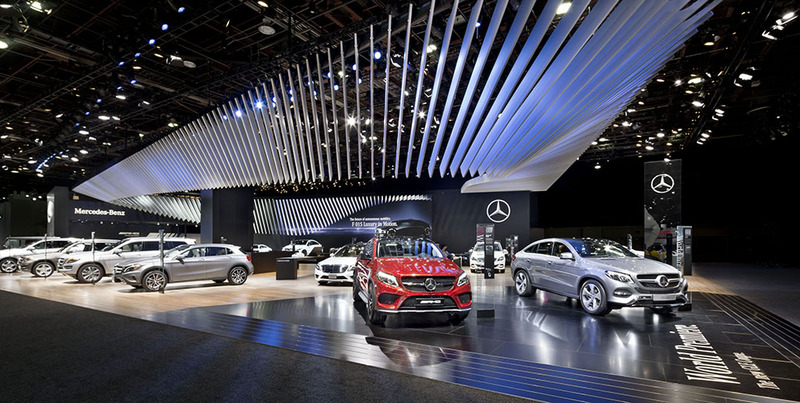 At the heart of the stand, the Plug-in Hybrid was displayed with the B-Class Electric Drive. These were accompanied by special, themed furniture to provide visitors with additional interactive product information. Mercedes-Maybach and Mercedes-AMG were positioned centrally, next to the stage. To play to the exclusive image of Mercedes-Maybach, the area was adorned with icons of luxury placed discreetly in a glass cabinet by the displayed car. 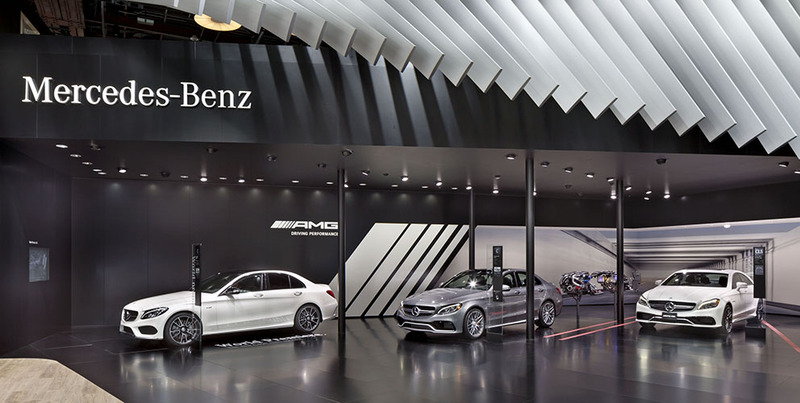 The ambience of the AMG zone was accentuated by a black screen with integrated AMG logo and strongly defined white lines. Integrated graphics were used to add depth to the display and provide the vehicle with an eye-catching platform.